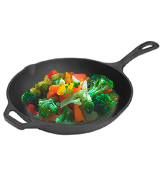 The skillet is seasoned using a premium vegetable oil and passes through several seasoning stages to achieve top-quality finish ensuring excellent non-stick characteristics. Relatively low walls (less than 5 cm). 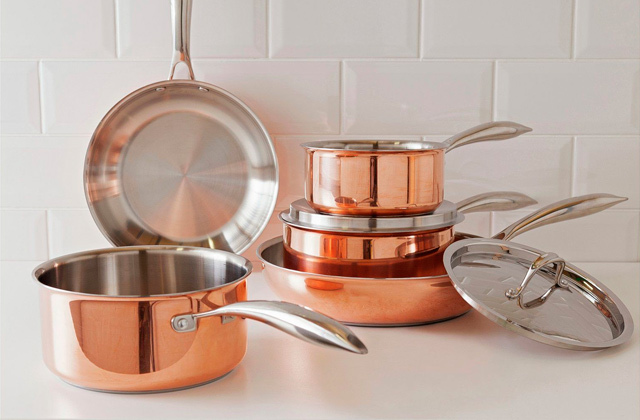 If you look for reliable top-rated cookware worth a restaurant kitchen, seek no further. 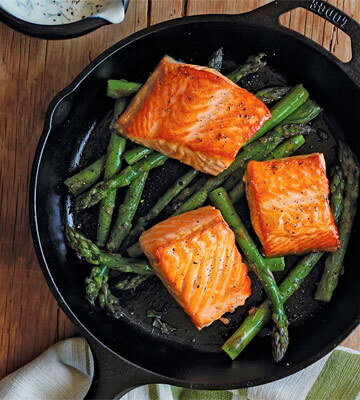 Made of first-class materials and manufactured strictly following time-proven technologies, a cast iron pan from Lodge will serve you for a lifetime and let you sear, braise, broil, fry, and stew like a pro. Thanks to 6.5 cm side walls, this model is deep enough to accommodate larger amounts of ingredients. In addition, high walls will keep all the splashes inside when stirring the contents. Needs additional pre-seasoning before the first use. This is one of few cast iron skillets that combines unmatched non-stick qualities of Teflon-coated models with incredibly long service life and versatility of cast iron cookware. Whatever you cook, the food will never scorch and you'll get perfect results time after time. Featuring 32 cm in diameter, this skillet will provide more surface to work with and you'll be able to make several portions at a time. Besides, you'll be able to increase iron content by 20% and avoid iron deficiency. It might appear difficult to find a lid due to the irregular skillet size. If you are a kind of person who prefers hearty home meals to cafe treats and fast food, there is really no reason not to give the Utopia frying pan a try. And if you often have guests and like treating them to a homemade meal, the model will definitely prove to be right up your alley. A specific induction base ensures even heat distribution over the whole cooking surface to have your meals perfectly cooked without any uncooked spots in the centre or on the edges. There is no helper handle. 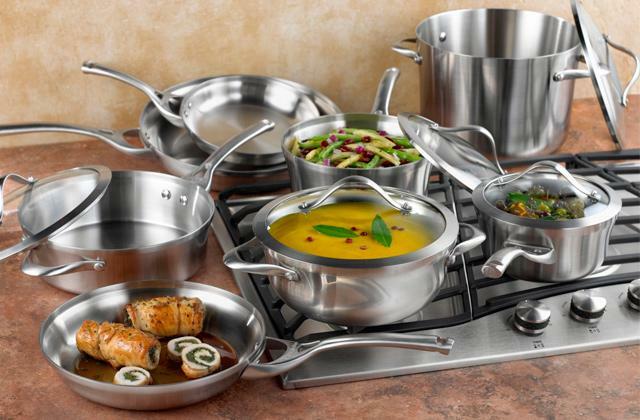 Need a versatile high-quality piece of cookware to enjoy stove-to-oven cooking potential? 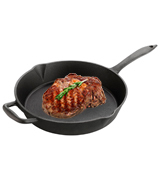 If so, you'll get it with the VonShef cast iron pan suitable for all heat sources and cooktops. Besides, due to its naturally non-stick surface, you'll need minimum oil for cooking, which makes it a great choice for healthy eaters. 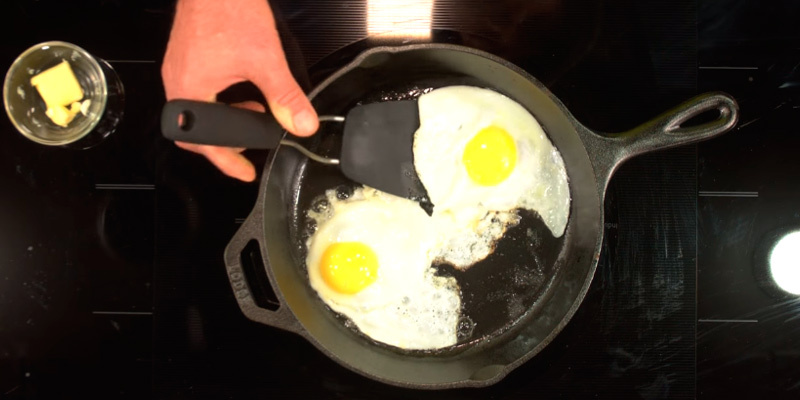 A silicone handle holder included in the set will let you handle a piping hot skillet without the risk of burns. Moreover, the holder is detachable, allowing you to use for baking in the oven. 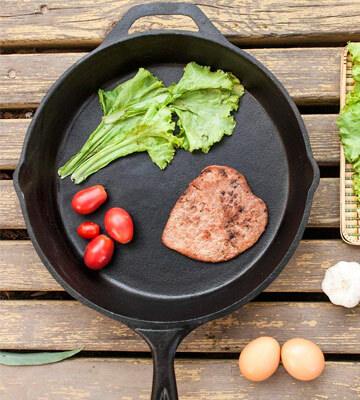 A cast iron skillet from Natural Cookware is a perfect option for those who want an affordable and practical griddle suitable for a variety of cooking tasks. With this frying pan, you'll get the versatility and longevity you expect from top-quality cookware. Cast iron cookware is by far the oldest cookware type. Although there is a whole myriad of cookware and modern cooking devices available, cast iron casseroles, griddles, and skillets are still extremely popular. Notably, the cast iron pans and pots production technology has not changed either. Lodge is one of the manufacturers that has been producing cast iron cookware for over a century and still sticks to traditions. Backed up by impressive experience, the company combines time-proven traditional technologies of production with modern equipment and technical innovations to maintain a consistently high quality of its products. 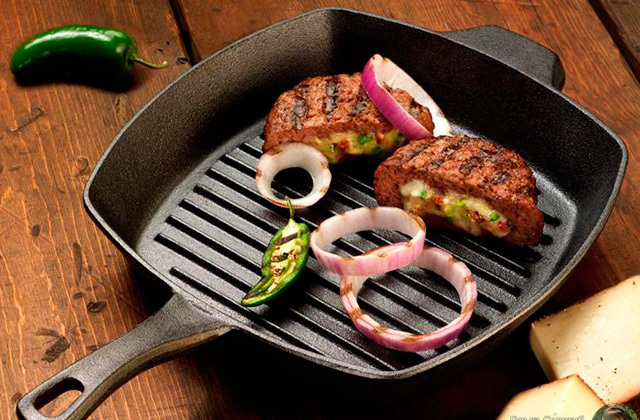 The Lodge cast iron round griddle is not an exception. The item is made of premium iron alloys with precisely measured amounts of silicon. All raw materials are thoroughly tested to meet the company highest standards. 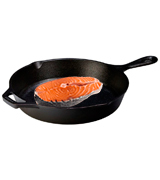 The skillet is seasoned at the factory with the use of a premium vegetable oil and passes through several seasoning stages to achieve the finish with excellent non-stick characteristics that will only improve over time. As such, this model can fry, roast, saute, grill, braise and even bake allowing you to cook anything from juicy steaks to yummy pies. And it does not matter what cooktop you have, the Lodge will suit any type including ceramic and induction cooktops. A 26 cm diameter is not the biggest size out there, yet it is perfect to cook for a couple or a three-person household. Besides, due to a smaller size, the Lodge pan is somewhat lighter than other cast iron griddles. If you want to replenish your home kitchen arsenal with a piece of top-quality cookware, you can’t go wrong with Lodge. You’ll get a skillet worth a professional kitchen that will serve you a lifetime and help you realize your boldest culinary ideas. Some home cooks, especially those who cook every once in a while, are sceptical about cast iron pans saying they lack non-stick properties. And there are models made of low-quality materials that are really far from non-stick. Yet, it’s not the case with Euphoric. Made of first-class cast iron, this model comes with a perfectly polished cooking surface and pre-seasoned finish to prevent food from sticking and scorching. And if you follow the manufacturer recommendation on reseasoning it once again before you start cooking, you will be truly amazed by the cooking performance it will deliver. Anything from perfectly browned steaks to crispy bacon and to delicate fried eggs with tender liquid yolks on the top will come out beautiful and heavenly delicious. And frying is only a modicum of what you can do using the Euphoric griddle. Featuring an all-metal construction, this pan can be used in an oven, all sorts of grills, and even on the open fire. Hence, your cooking options are virtually limitless and cooking results will be always second to none. In addition to the unparalleled quality of the cooking surface and functional versatility, this model is distinguished by a well-thought design. Featuring 30 cm in diameter and 6.5 cm sides, the Euphoric griddle is big and deep enough to accommodate large amounts of food to cook a family-size meal or treat guests. 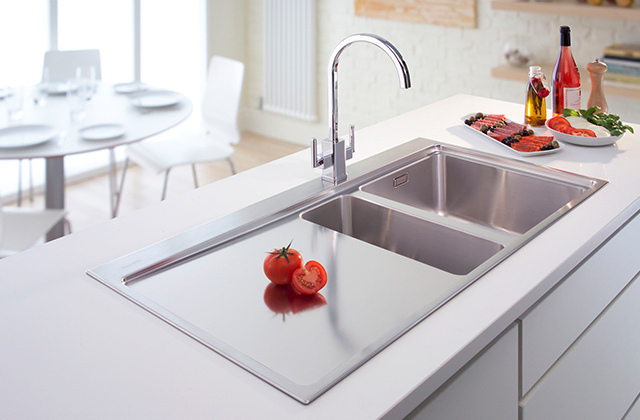 In addition, high sides will keep all the splashes inside when stirring foods while two pouring spouts are helpful for removing excess liquids. 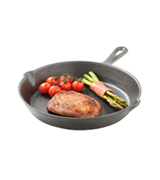 Long-lasting, convenient-in-use, and suitable for all types of cooking techniques, the Euphoric t is one of few cast iron skillets that combines unmatched non-stick qualities of Teflon-coated models with incredibly long service life and versatility of cast iron cookware. 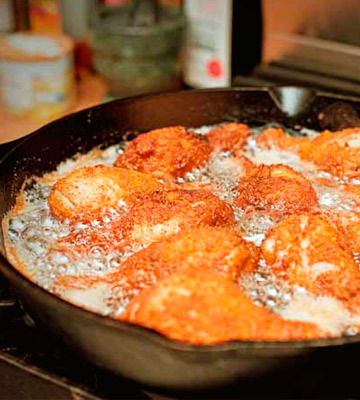 Most seasoned cooks believe a cast iron skillet to be the most essential piece of cookware. And if you take into consideration what you get from them in return for their measly price, it's hard to argue with their logic. With a pan like that, you can cook anything that your heart (or tummy) desires, be it a juicy steak, some paninis, or a few vegetables to make your diet just a bit healthier. 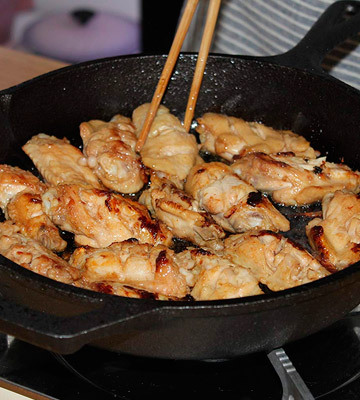 Furthermore, one of the biggest and one of the more unexpected advantages of cast iron cookware in general and skillets, in particular, is the fact that iron deficiency is extremely common all over the world but especially among women. Cooking your food using a cast iron skillet, you will be able to increase iron content by as much as 20% and that iron is extremely important as it is responsible for producing red blood cells. Other than that, the model offers a flat surface with 12.5 inches in diameter. 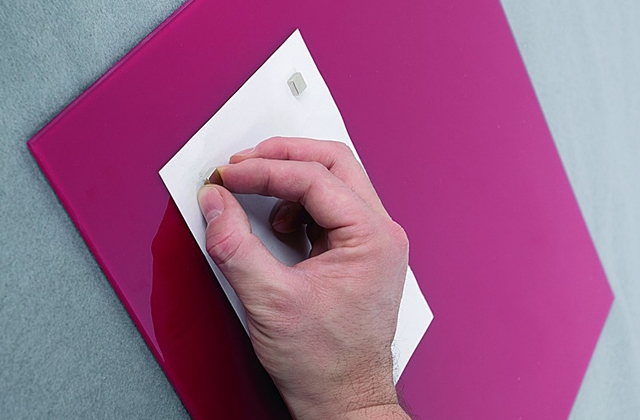 As you would imagine, this means you will have more surface to work with, so you'll be able to prepare heartier meals. Unfortunately, the unorthodox diameter of the surface also means that it may be a bit difficult to find a fitting lid. 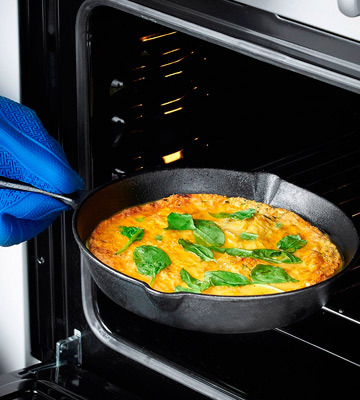 And just like any cast iron skillet, the model is more than suitable for all kinds of heat sources like gas, electric, induction, and ceramic-glass top stoves, but also ovens. So, if you're the kind of person who prefers a healthy and hearty homemade meal to fast food, there's really no reason not to give the Utopia Kitchen frying pan a try. And if you often have guests over and like treating them to a meal, the model will definitely prove to be right up your alley. If you have a chance to peep into a kitchen of a good restaurant, you’ll hardly see andy multicookers, instant pots or electric grills there. Yet, what you will see for sure is a variety of cast iron griddles and skillets of different sizes and diameters. No self-respecting chef can imagine a better cooking tool than a cast iron pan. And that’s for a good reason. If you want to tailor your culinary skills to perfection and bring your cooking to a professional level, a quality cast iron griddle is a must, like the one from VonShef. One of the strongest parts about this model is that it heats evenly and cooks without scorches. All of this is thanks to a thick and resilient bottom and a special pre-seasoning technology. A highly conductive cast iron with an induction base ensures rather quick and even heat distribution over the whole cooking surface and will consistently maintain high temperature to have your meals perfectly cooked without any uncooked spots in the centre or on the edges. The skillet will perform equally well on gas, electric, and induction hobs and can be easily used in ovens, on barbecues, grills, and campfires. The item comes naturally pre-seasoned and, best of all, needs no re-seasoning. It means you can use the griddle straight out of the box and there is no need to worry about stuck foods. 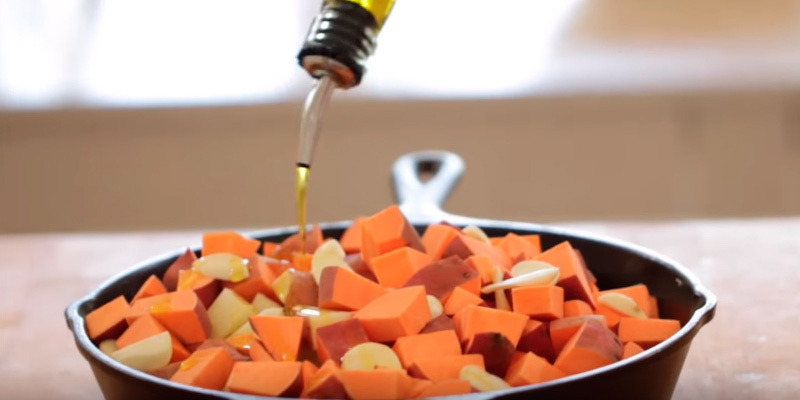 Moreover, you will need only a few drops of oil for cooking which is beneficial for healthy eaters. Frying, braising, roasting, broiling, sauteing, baking, glazing, and even flambeing, everything is possible with the VonShef cast iron griddle. The only negative we’ve noticed about this frying pan is that it lacks a second helper handle. However, taking into account a smaller diameter of 25 cm and more lightweight construction, you can lift and move the skillet using a single long handle without any difficulty. If a number of cooking options and professional-grade cooking results are what you want to achieve with a cast iron griddle, the VonShef will fit the bill. 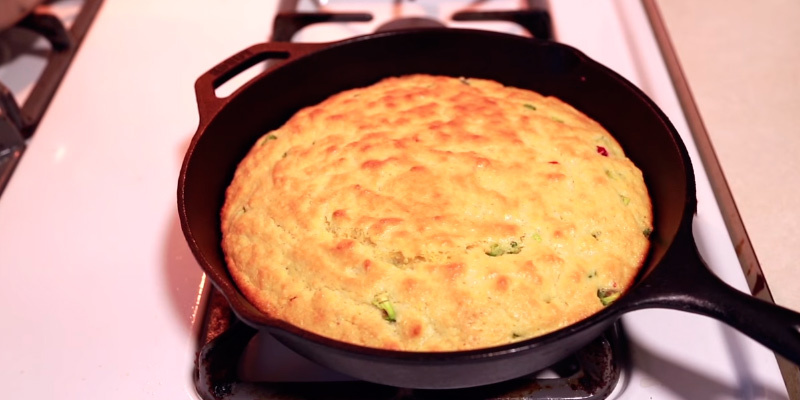 Still don’t have a cast iron skillet? If so, then it’s high time to get one. 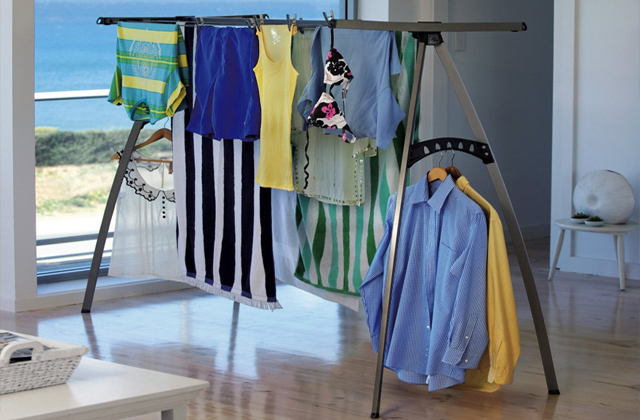 Not sure how to choose from a whole range of models? We recommend turning your eyes to the Natural Cooking cast iron griddle. 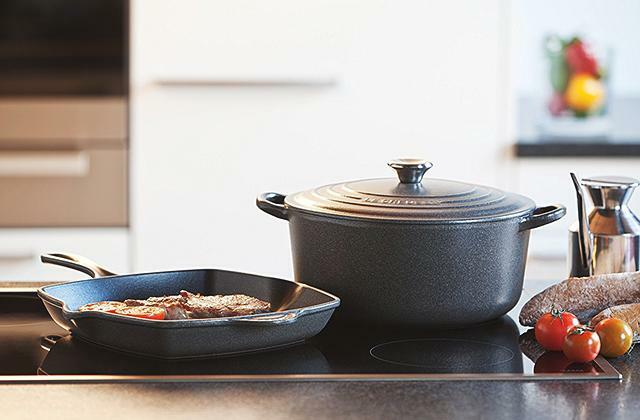 It doesn’t cost a fortune and offers the versatility and longevity you expect from this type of cookware, all of this making it an ideal entry model. At a glance, the skillet doesn’t differ too much from most of cast iron pans. Two ergonomic handles ensure easy item carrying and moving despite its pretty heavy weight (which is typical of this type of cookware). Two pouring lips are also there to help you remove excess oil, grease, and liquids. Meanwhile, a hole in the handle allows hanging the skillet for convenient storage. 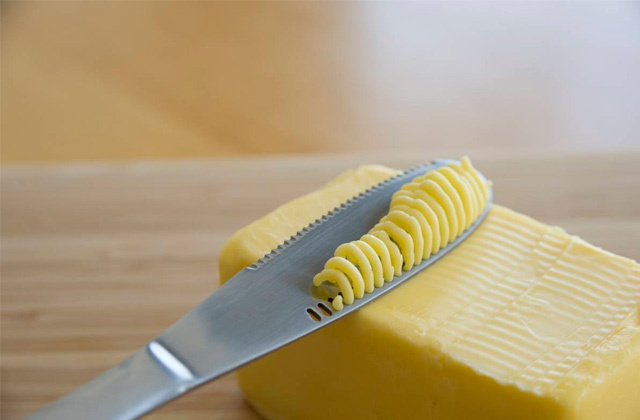 It’s notable that a long handle is perfectly sized. Obviously shorter than handles in other models, it will let you fit the pan even into smaller ovens. 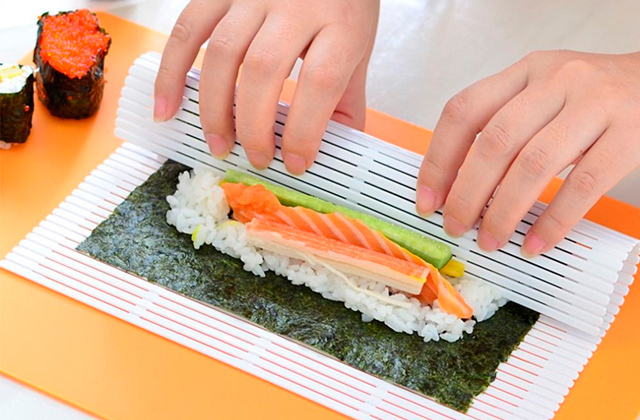 Yet, on the other hand, it is long enough to safely keep your hands away from a hot griddle. 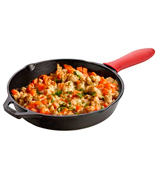 In contrast to other cast iron skillets, however, this model comes complete with a silicone handle holder to carry a piping hot griddle without the risk of burns. The handle is removable, hence, it will in no way limit the griddle use with different sources of heat. Thus, you can sear your pork chop or a T-bone steak on the hob and then place the pan into the oven to let the meat get cooked to a perfectly tender texture. Featuring an ideally polished bottom and withstanding temperatures up to 250° C, the Natural Cooking is compatible with electric, gas, induction, and ceramic cooktops and can also be used under the grill, on a barbecue, and with a campfire. The only downside about this model is that it has a somewhat rough cooking surface not suitable for glazing, flambeing, and cooking such delicate dishes as fried eggs and omelettes. However, it performs just great and shows good non-stick properties with many other dishes, be it meat roasts, veggie stews, bakery or sauces. If you seek to make your cooking more versatile without the need to purchase a number of utensils and cookware items, the Natural Cooking cast iron pan is definitely worth a try. What Is a Cast Iron Skillet? 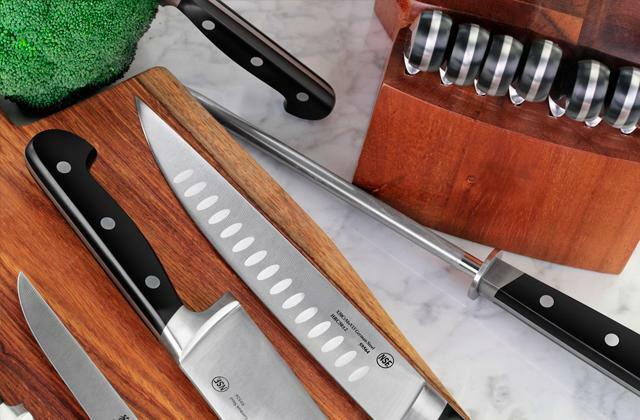 There are definitely a few benefits to having a couple of high-end cookware products in the kitchen. 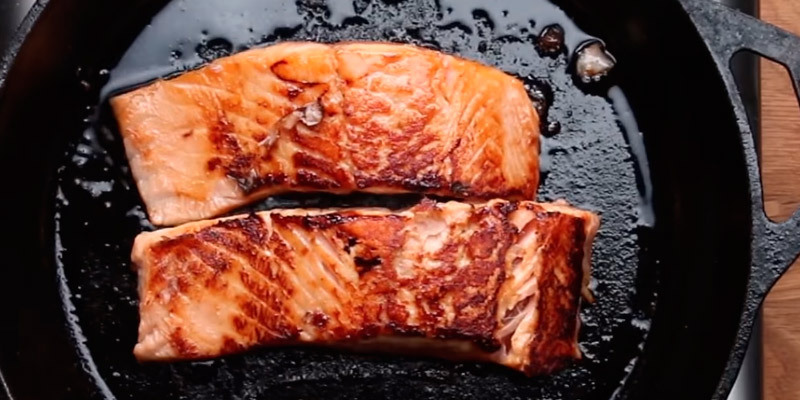 But that doesn't mean you should just forget about a trusty, old-fashioned cast iron pan. These pans may not offer the same heat distribution or include the same extra features that may or may not help you prepare better meals, but they do have their own advantages as well, which we will cover next. First of all, they're a lot cheaper than the majority of high-end pans and you can get yourself a quality cast iron skillet for about 20 to 30 pounds. 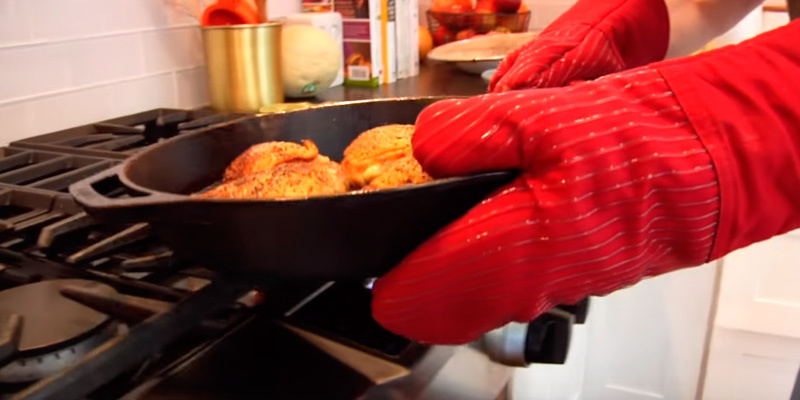 And while they aren't as good when it comes to even heat distribution, once you heat a pan like that up, you know for sure it will stay hot for a long time, which is important when you need to sear meat, for example, or slow cook something else. Plus, in addition to the fact that they're inexpensive in the first place, these things are made from the same material that is used in the construction of engine blocks, so it will literally serve you for decades to come. 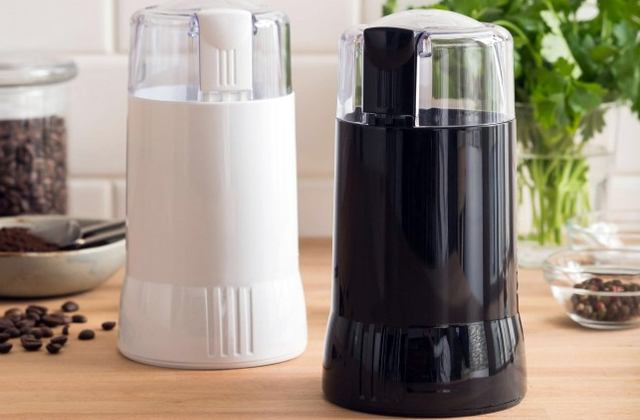 Add to that the versatility aspect and the fact that they're usually a lot easier to clean and you have yourself an affordable and flexible assistant around the kitchen. 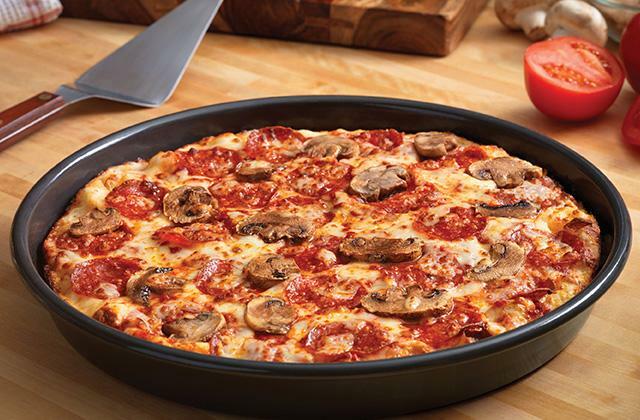 Of course, as versatile as they're, if you're looking for a piece of cookware to make some delicious pizza, you'd be better off with a pizza stone or a pizza pan.